’Tis the season to party on. December is a holiday party marathon, and we’re preparing you for every mile of the way. From company parties to ugly sweater shindigs, we’ve got every inch of the holiday season covered. Head to the best mall in Miami to find an outfit for every occasion on your winter social calendar. Be a vision in velvet. This hip-hugging Vince Camuto dress will accentuate your curves and highlight your assets in any photo you dare to take. The crimson red is rich and elegant, standing out off the page of your printed holiday cards. Looking to be a coordinated couple? 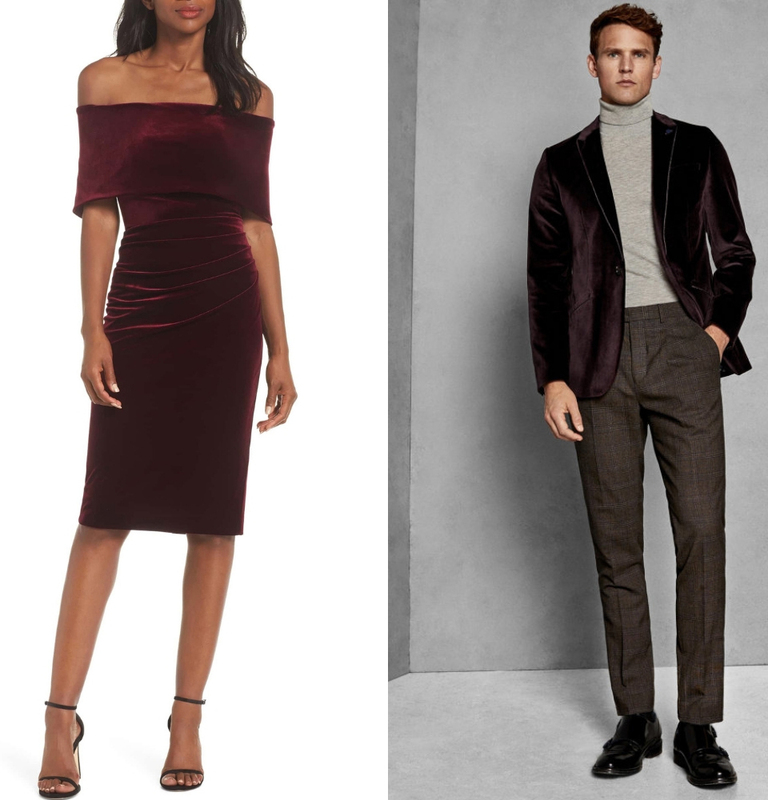 Be the sleek Santa to your Mrs. Claus with Ted Baker’s irresistible Maribo velvet jacket. Tartan is a staple fabric of the winter season, so get dolled up in the season’s must-have print. This flattering cinched-waist dress is an easy charmer that will prove to be your go-to dress all season long. We know the look: classic for photos yet relaxed enough to be the favorite uncle who isn’t afraid to play outside. Hackett London’s wool flannel blazer will bring a sophisticated, polished approach to your family gathering. To dress down the jacket, pair it with a simple collared shirt and khakis. Walk in and capture the room with one twirl. 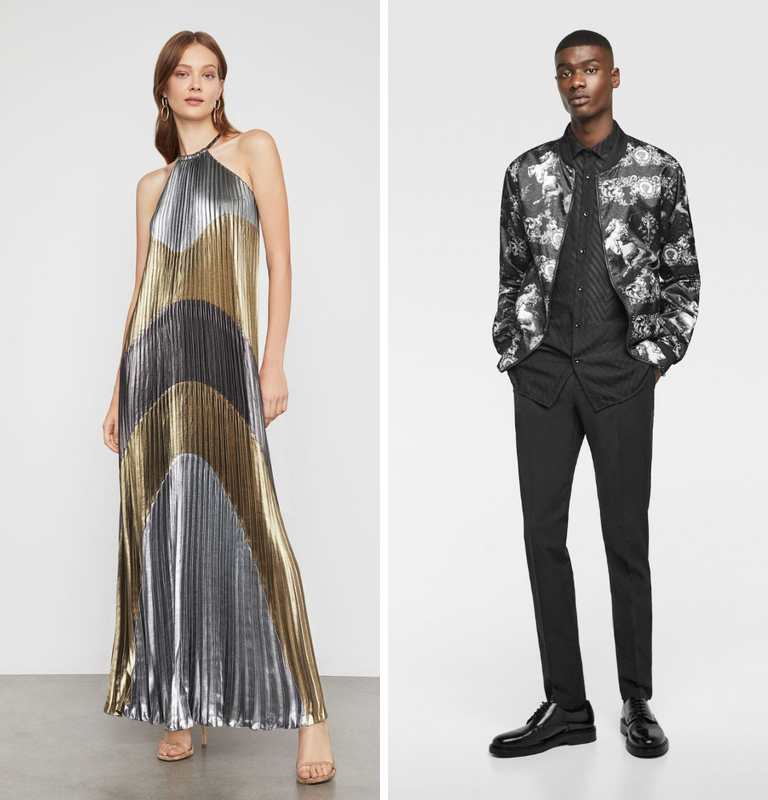 This metallic pleated gown is an elegant and edgy pick for your next company holiday party. Show you’re a dazzling success in and out of the office as you dance the night away. Give the suit a rest after your 9-to-5 is over. This metallic bomber is an unexpected and stylish pick for your next office celebration. Say cheers to a happy holiday with a jacket that will start conversations that are far more entertaining than water cooler talk. Neutral for any holiday, this starlight dress has just the right amount of glitter to ignite enchantment in the holidays. The scintillating, figure-hugging dress is conservative and classic for an elegant evening with family. 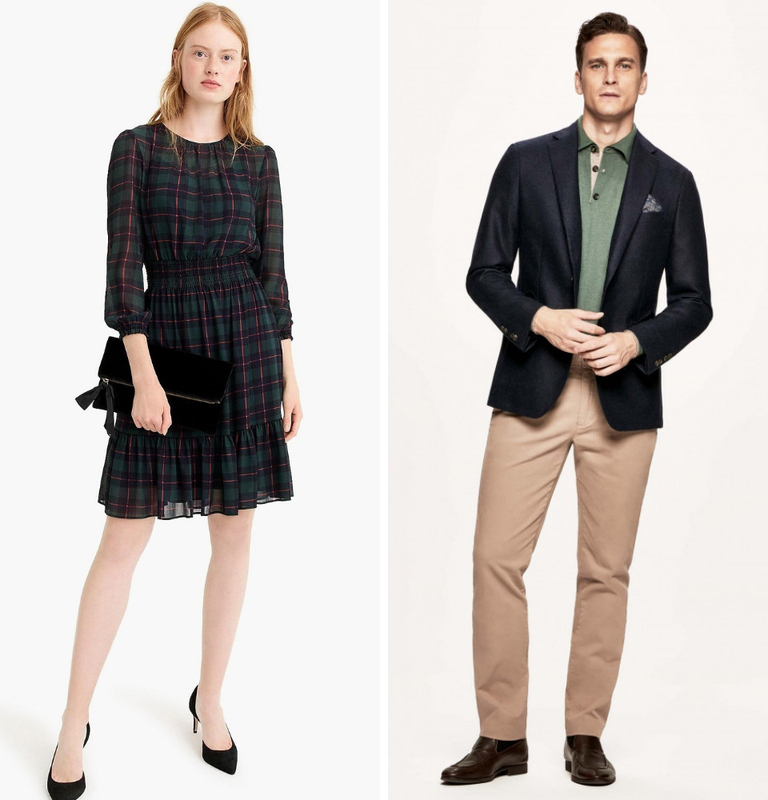 Brooks Brothers is a one-stop shop for sophisticated seasonal styles. This windowpane flannel suit is a staple that can be worn all year long. What’s more fitting for Florida than a tropical Santa sweater? 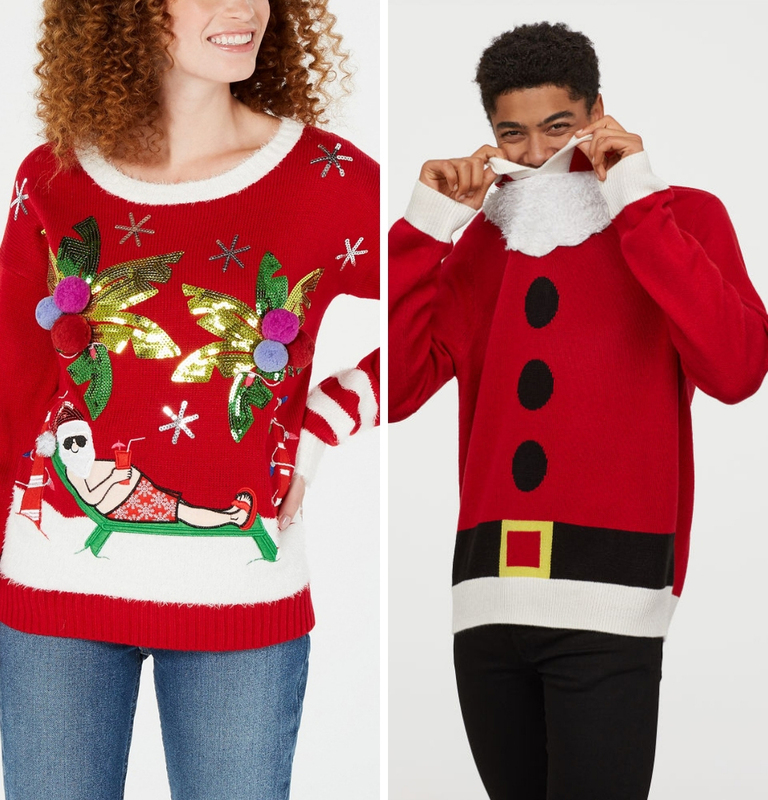 Win the best dressed at your next ugly sweater party with pure Christmas chaos. Nothing stands out more in a room full of knitwear than Santa sipping a mojito on South Beach. Play the role of jolly old Saint Nick in this hooded sweater. This cozy soft rib knit even features fuzzy pile applique to resemble Santa’s long white beard. As you ready your holiday wardrobe, don’t forget your New Year’s number. The more sparkle, the better. Diane von Furstenberg’s elaborate Olvera Fringe Dress was made for shaking and shimmying into 2019. 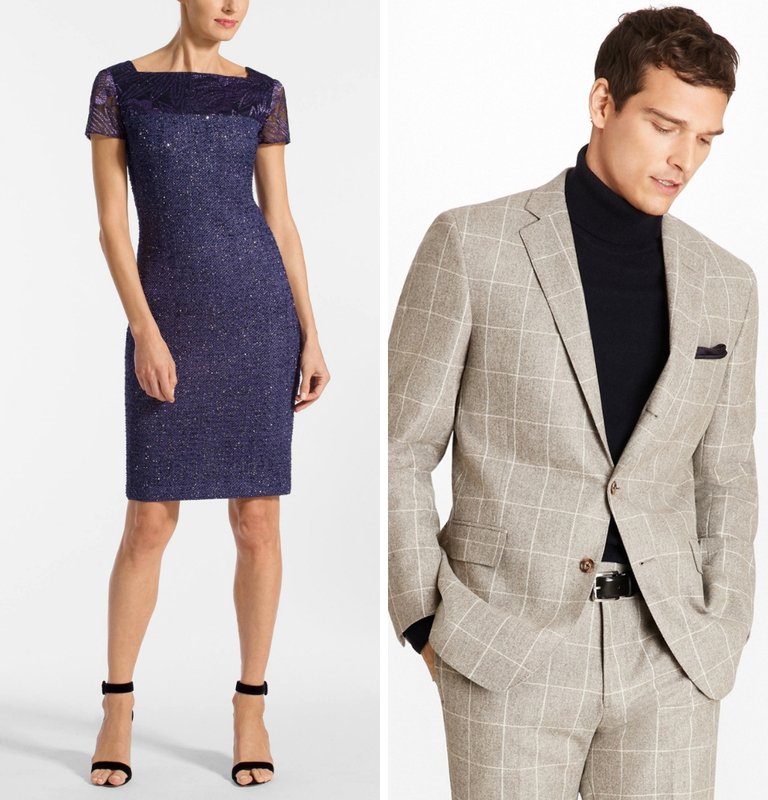 Don’t drop the ball on your New Year’s Eve attire. 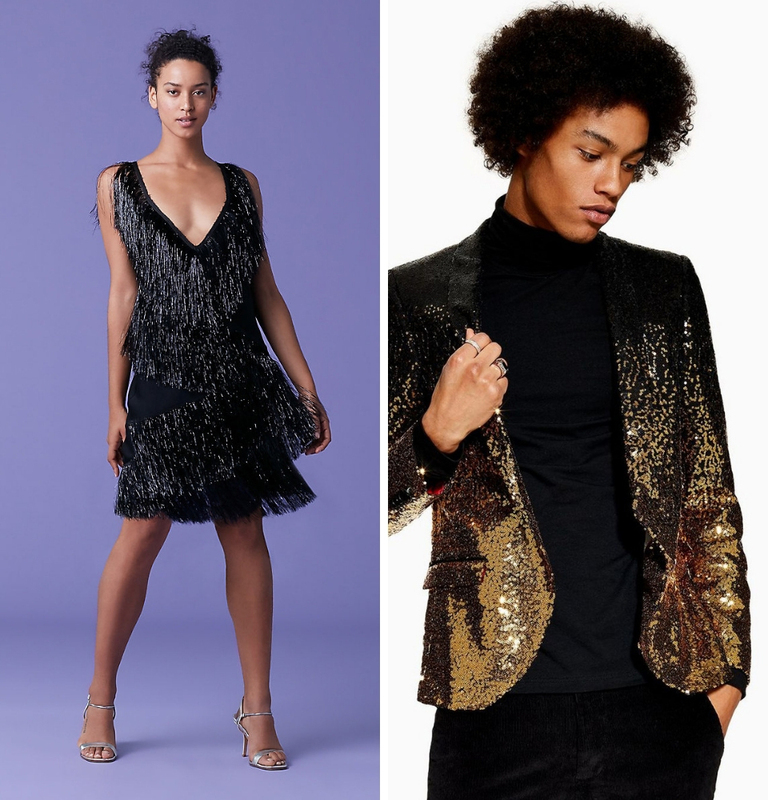 The stroke of midnight might be your last chances to get away with rocking a sequin gold blazer, so don’t take it for granted. The ombre jacket is a bold way to welcome a new day.